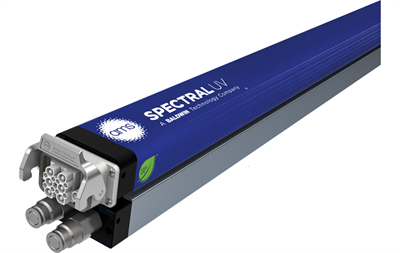 Our LED UV retrofit systems - powered by AMS Spectral UV - bring energy-efficient, heat-less, solid-state curing to sheetfed offset lithographic printers everywhere. Gone are powder-filled pressrooms, expensive IR/hot-air dryers, marking problems and waiting for sheets to dry. No other system provides the high intensity, flexibility and fast return on investment. With simple installations on nearly any type of press, LED UV is helping customers reinvent their conventional sheetfed offset printing operations with stunning results and digital turnaround speed. 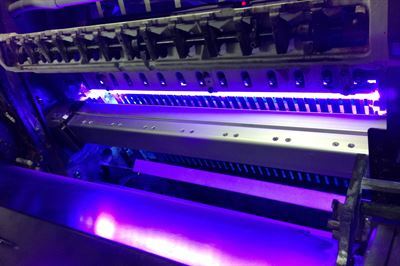 AMS Spectral UV manufactures LED-UV curing systems for sheetfed offset printing presses, with ready-to-go solutions for 20", 30" and 40" presses, and custom/bespoke solutions for any other specified width of press. We can readily retrofit UV LED curing systems onto presses from Akiyama, Heidelberg, KBA, Komori, Mitsubishi, manroland, Ryobi (RMGT), Sakurai and Shinohara, among others. 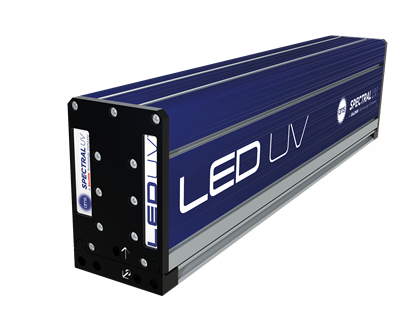 We can readily retrofit LED UV curing systems onto a range of litho presses. 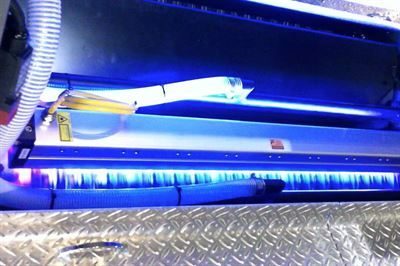 LED UV curing provides solutions to problems facing print minders, production managers and directors alike. The Award Winning go-to LED-UV curing system for commercial sheetfed offset printing. The XP-I Series is the most advanced solution for printing applications in the world. The slim curing module ideal for smaller sheetfed offset printing presses. The high intensity curing option with 'burst mode' for sheetfed offset printing.